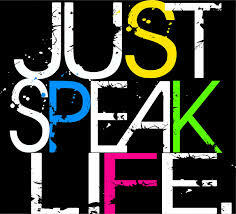 Speech is one of the great gifts of God. It is the means by which the thoughts of the heart are communicated. It is with the tongue that we offer prayer and praise to God. With the tongue we convince and persuade. With the tongue we comfort and bless, soothing the bruised, wounded soul. With the tongue we may make known the wonders of the grace of God. With the tongue we may also utter perverse things, speaking words which sting like an adder. The tongue is a little member, but the words it frames have great power. The Lord declares, “The tongue can no man tame.” It has set nation against nation, and has caused battle and bloodshed. Words have kindled fires that have been hard to quench. They have also brought joy and gladness to many hearts. And when words are spoken because God says, “Speak unto them my words,” they often cause sorrow unto repentance. Of the unsanctified tongue the apostle James writes: “The tongue is a fire, a world of iniquity: so is the tongue among our members, that it defileth the whole body, and setteth on fire the course of nature; and it is set on fire of hell.” Satan puts into the mind thoughts that the Christian should never utter. The scornful retort, the bitter, passionate utterance, the cruel, suspicious charge, are from him. How many words are spoken that do only harm to those who speak and those who hear! Hard words beat upon the heart, awaking to life its worst passions. Those who do evil with their tongues, who sow discord by selfish, jealous words, grieve the Holy Spirit; for they are working at cross purposes with God. They are working on lines marked out by the enemy of all good. The inspired apostle, seeing the inclination to abuse the gift of speech, gives directions concerning its use. “Let no corrupt communication proceed out of your mouth,” he says, “but that which is good to the use of edifying.” The word “corrupt” means here any word that would make an impression detrimental to holy principles and undefiled religion, any communication that would obscure the view of Christ, and blot from the mind true sympathy and love. It includes impure hints, which, unless instantly resisted, lead to great sin. Upon every one is laid the work of barring the way against corrupt speech. Guard well the talent of speech; for it is a mighty power for evil as well as for good. You can not be too careful of what you say; for the words you utter show what power is controlling the heart. If Christ rules there, your words will reveal the purity, beauty, and fragrance of a character molded and fashioned by his will. But if you are under the guidance of the enemy of all good, your words will echo his sentiments.